The sudden cancellation of an academic conference on Israel, as well as the lack of outcry from ‘mainstream’ media, demonstrates once again the skewed limits to ‘free speech’ in ‘advanced’ Western democracies. ‘Je suis Charlie’ already feels like ancient history. It certainly does not apply when it comes to scrutiny of the state of Israel. The conference, titled ‘International Law and the State of Israel: Legitimacy, Responsibility and Exceptionalism’, was to be held at the University of Southampton from 15-17 April 2015. Planned speakers included Richard Falk, the former UN special rapporteur on human rights in the Palestinian territories, Gabi Piterberg, a historian at the University of California at Los Angeles, Israeli academic Ilan Pappé and Palestinian historian Nur Musalha. The meeting was billed as the ‘first of its kind and constitutes a ground-breaking historical event on the road towards justice and enduring peace in historic Palestine.’ The approach would be scholarly with ‘multidisciplinary debate reflecting diverse perspectives, and thus genuine disagreements’. Rather than being a coven of political extremists and violent hotheads, this was to be a serious gathering of respected and authoritative academics with in-depth knowledge of Israel and Palestine. But intense pressure from the Israel lobby about the airing of ‘anti-Semitic views’ has torpedoed the University of Southampton’s earlier stated commitment to uphold ‘freedom of speech within the law’. In a classic piece of bureaucratic hand-wringing, the university issued a corporate-style statement on 1 April that leaned heavily on the pretext of ‘health and safety’ to kill off the conference. This happened a mere two weeks before the conference, planned months earlier in consultation with the university, was due to begin. There was also fierce criticism from several politicians at Westminster. Mark Hoban, the Conservative MP for Fareham, described the conference as a ‘provocative, hard-line, one-sided forum that would question and delegitimize the existence of a democratic state.’ Caroline Nokes, MP for Romsey and Southampton North, said the university risked bringing itself into disrepute by hosting what she described as ‘an apparently one-sided event’. On April 2, the conference organisers responded to the university’s sudden reversal of its earlier commitment to hold the conference. The organisers, who include Israeli-born law professor Oren Ben-Dor, said that they were ‘shocked and dismayed’ at the university’s about-turn. This was especially disappointing given that the police had given assurances that they would be ‘able to manage the demonstrations’. ‘When we had a meeting with the university vice-chancellor they said they would review it [the conference] on health and safety terms. The ‘line of attack’ about ‘health and safety’, then, appears to be cover for the university caving in to pro-Israel pressure. This fits a wider pattern of the pro-Israel lobby’s fear of increasing global condemnation of Israeli crimes against the Palestinian people and international law. As Ben White, an authoritative freelance journalist on the Middle East, reported last month, the British ambassador to Israel, Matthew Gould, recently met with UK university heads to discuss Israel and the limits of ‘freedom of speech’. Also present were representatives of at least three pro-Israel organisations: the Board of Deputies of British Jews, the Jewish Leadership Council, and the Union of Jewish Students. The conference organisers have now lodged an injunction at the High Court in London in an attempt to prevent the university from curtailing their right to freedom of speech. The legal argument is that in unfairly withdrawing permission for the conference, the university has capitulated to the pro-Israel lobby. ‘This is blatant censorship under the guise of a specter of campus being overrun by violent hordes, which is patently groundless,’ said Mark McDonald, a public interest lawyer from the chambers of Michael Mansfield QC. ‘It seems to me outrageous that you seem to have allowed the bullying and threats of the Israeli lobby to prevent the perfectly lawful and legitimate exercise of free speech and academic debate. I understand that the police had reported that they would be perfectly able and willing to deal with any security concerns at the event: this ought to be good enough. All this comes at a time when the Boycott, Divestment and Sanctions movement is gathering strength. A recent debate at the Cambridge Union Society even passed the motion that ‘This House Believes Israel Is A Rogue State’. Media coverage of the cancellation of the conference has been almost non-existent. We found justthree news articles in the national press: one in the Guardian, one in the Telegraph and one in the Express. Where is the outpouring of dismay now from liberal commentators across the British media at the actions of the pro-Israel lobby? Where are the comment pieces decrying this latest attack on free speech? When it comes to Israel, the ‘right to offend’ is quietly dropped. Moreover, why should it be ‘toxic’ to examine critically the founding ideology of Israel, a state that was built on one of the largest forced migrations in modern history? 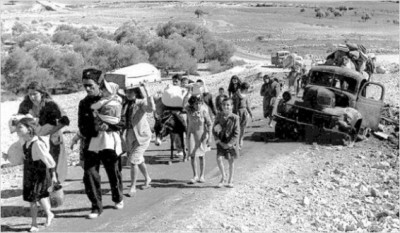 As Israeli historian Ilan Pappé documented in his acclaimed 2006 book, The Ethnic Cleansing of Palestine, the establishment of Israel in 1948 was ‘Nakba’ – a catastrophe – for the Palestinians. More than half of Palestine’s native population, close to 800,000 people, were uprooted, and over 500 Palestinian villages destroyed.